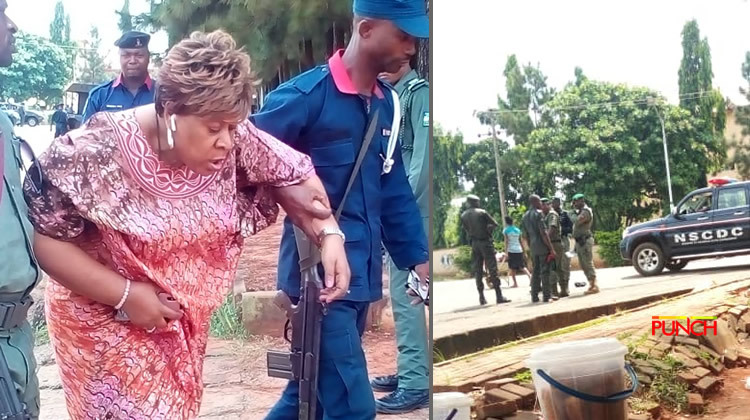 The resumed sitting of the Anambra State House of Assembly on Thursday assumed violent dimension as policemen blocked the entrance to the premises, while they also sprayed teargas into the atmosphere. Sequel to her purported impeachment on Tuesday, a member of the House, Ikem Uzoezie of AgutaIi Constituency was nominated as the new Speaker. 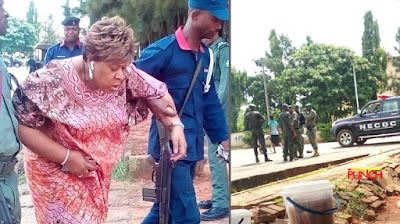 No fewer than 300 policemen manned the Assembly area from the Alex Ekwueme Square entrance of the complex as from 8am. Workers of the judiciary and others who had any business in the area were denied entrance. Trouble began when a lawmaker mobilised some supposed supporters to the House, allegedly to show solidarity for Maduagwu. Police, however, repelled the protesters with tear gas. Consequently, the entire environment was filled with tear gas as policemen attempted to ward off everybody in the area, The Punch reports. Journalists and other onlookers scampered for safety.